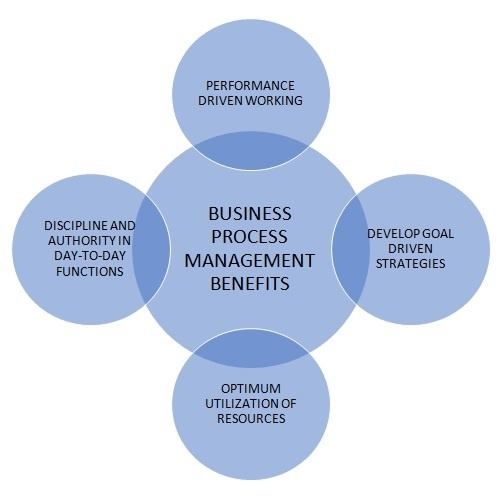 Business Process Management is professional discipline displayed by people, to improve and manage an organization’s processes in order to achieve performance-driven working, goal-driven strategies, optimum utilization of resources and standardization in day-to-day functions. 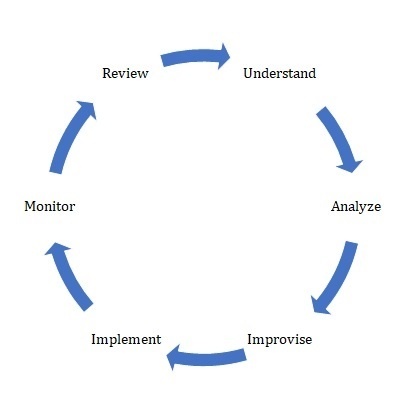 Business process management is a methodical approach to identifying, understanding, documenting, upgrading, implementing, measuring & reviewing each and every process within the organization. As each business activity flows, in line with the goals of the organization, several stake holders are involved in accomplishing them. There are customers, employees, vendors, partners etc. whose activities have to be monitored at every procedure within the firm. 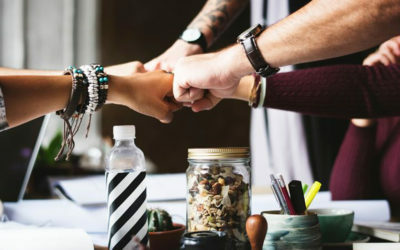 Business Process Management is a defined approach to accomplish one-time as well as recurring activities in a format to be able to ensure its consistency and targeted results. BPM involves concerted, technologically competent systems that create value within the organization and enable organization to achieve excellence and agility. Each department or function within the organization are responsible to achieve their KRAs within a stipulated time, with optimum accuracy and optimum utilization of resources. These KRAs would be achieved by carrying out stipulated set of business processes. Business process Management captures these processes and integrates these processes with the IT systems to ensure these processes are carried out with precision, in time and by the right resources. A business process is a set of procedures or tasks to be carried out by defined designations&functions in an organization, in specified time frame to achieve a definite output. A collection of several procedures makes it a “Process”. There are hundreds of business processes continually carried out across the organization, with different inputs and different outputs. All these processes are invariably moving towards taking the organization towards its objective. Some business processes are recurring while some are non-recurring. Some are people-dependent while some are system-dependent. 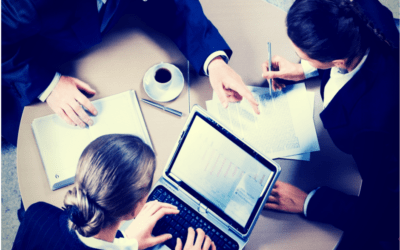 Why is Business Process Management Necessary within the Organization? Lack of efficient BPM is a sign of an unorganized business. While every process is carried out by varied people within the organization, if the process is not well defined, it is performed in an unorganized way, with lack of standardization and inefficient& non-measurable output. Be it an executive or a manager, there will not be any accountability witnessed across the organization as the roles and responsibilities are ill-defined, the processes are not mapped and the reporting structures are not carved. Without structured processes, the only way to measure the performance of an individual would be based on instincts and judgement. Without BPM, there would not be any parameters through which we can give justice to the performers and pull up the performers from the team. Lack of BPM makes the organization people-dependant and not system-dependant. What happens when a new person joins the organization? What happens when the way of carrying out the process is not downloaded to the new joinee? Lack of BPM makes the top management completely dependant on the person in that position rather than the system, which poses threat to the growth of the organization. Spending excessive time on activities of lower importance and spending no time for activities of most importance is an ideal scenario when the processes are not chalked out. There is no parameter to measure the effectiveness of the process and the time frame in which it is carried out. Since the processes are not defined, the productivity of the team cannot be assessed. This leads to discrepancies in the output & compensation, motivation & productivity. Resource Planning is the most important aspect which requires constant attention from the middle to top level management of the organization. BPM helps in optimizing every resource within the organization, from the moving to the non-moving ones. BPM helps in best use of skills & knowledge which ensures controlled cost and maximum output. BPM helps to make the organization process driven & not people driven. It manages the job profiles, authorities & responsibilities through the software so even if a new person joins in, his learning curve is reduced and the output is faster. The approvals and escalations are position-driven & not person-driven. Most industries struggle to keep a track on the weekly, fortnightly, monthly or yearly compliances. As compliance data is linked with multiple departments, following up with them and getting it done in time becomes the biggest challenge. BPM structures the flow of processes required to fulfil the compliances along with mapping it with the designations and time-lines. This not only eases out the follow-up process but also quantifies the non-performing functions/ people. The biggesthurdle when it comes to execution of processes is getting approvals at the right time from the right person. In most organizations, approving authority is either not aware or not intimidated in time about the approvals to be given. BPM maps the processes and an intimation is sent to the approving authority in time to ensure the processes are not delayed due to approvals. Workflow automation enables easy, pick and click process display with monitoring of each procedure and incorporating escalations, deviations & exceptions if any. BPM helps in creating forms, formats & supporting documents through the system which facilitates creating, reviewing & auditing documents in accordance to the process requirements. BPM notifies the assigned tasks of the workflows, via email to all its users. Workflow Automation aligns the business processes with the goals of the organization & tracks the achievement. Organizing should be focused around outcomes of the processes and not task-based for best results. BPM can function in the most optimum manner only when every processes are system-driven & not people-driven, failing which we can only achieve speed with lack of accuracy. Assigning the procedure owners and escalations is of utmost importance while measuring the success of BPM Implementation. Standard Operating Procedures (SOPs) are a must, & to be created before implementation of Business Process Management (BPM). These processes must be drafted in black & white to be understood easily, managed efficiently, followed swiftly and reviewed periodically. BPM is not a one-time activity and must be a discipline which needs to be followed and continuously improved upon. SOP upgradation in terms of technology, people, flow, use of resources must be taken up on a regular basis so that the company can introspects its operations and improvise them incessantly. This activity leads to a perpetual cycle of PLAN-DO-IMPROVE. Flow of information is one aspect of process automation. BPM helps in gathering the accurate data, required when, for what purpose, at which moment, how and the reason why the process is being performed. IT Integration is one of the most important aspects for increasing the efficiency and accuracy of processes within the organization. IT Integration is an inevitable precursor of BPM. BPM not only helps in designing & automating the processes but also helps in getting the best-of-the data analytics reports. These reports help in decision making across various functions and authority levels. BPM makes the data usable and actionable. To achieve these results, your input methodologies have to be extremely precise and measurable. BPM can achieve real-time tracking of processes, the exact point of delay and the responsible person for the same. BPM allows integrating workflows where several procedures of a process are being carried out simultaneously. Manually there is a huge flow if data as well as documents across various functions which causes tremendous delay in implementation, blame-game, lack of sense of responsibility and loss of time. Workflow connects several functions across the organization and moves from one person, place or document to another, when a task is completed by “A” only then can it be begun by “B”. The intimation of task completion by A shall be given through the BPM real time to B, so we work on optimum utilization of resources. There are processes where parallelly multiple tasks are carried out by multiple functions & it gets manually impossible to monitor, BPM can send trigger to all of these functions simultaneously with the lead time to complete the said task. It can also pull out data from Software/ERP at whichever stage required. BPM itself is a “SOP Improvement” tool as it overtly expresses the intricacy of cross-function, inter-function & intra-function processes, along with their supporting forms & formats, on a continuous basis. These business processes involves a lot of operational charting, analysis and review management. SOPs ease out the application of these processes into BPM as SOPs are elaborate enough to consider different permutations and combinations, which are going to be most suitable for the existing infrastructure. 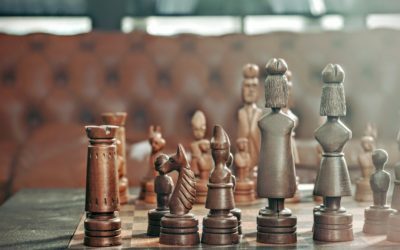 BPM ensures your strategy is aligned with your goals and helps you monitor every activity within the organization, within each function and across various organizations. BPM makes the organization achieve more qualitatively and quantitatively.